A gathering for reflection on Dr. Christine Blasey Ford’s testimony and the ongoing Brett Kavanaugh Supreme Court hearings was held last Tuesday, Oct. 2, in Downey Lounge. Held as a safe space for students to express themselves, the event was organized by Adolescent Sexual Health Awareness (ASHA), Students for Consent and Communication (SFCC), the Wesleyan Student Assembly (WSA), the Title IX Student Advisory Committee, the Survivor Advocacy and Community Education (SACE) Office, the Office of Religious and Spiritual Life, and Counseling and Psychological Services (CAPS). Rev. Tracy Mehr-Muska and Rabbi David Leipziger Teva led a group discussion with the 20 students who attended the event, which came five days after Ford spoke in front of the Senate Judiciary Committee about Kavanaugh assaulting her while the two were in high school. In planning the event, WSA president Emma Austin ’19 first brought up the idea of having a reflective gathering to the Department of Student Affairs and connected with Director of SACE Johanna DeBari to coordinate the details. The organizers believed it was important to address the needs of students who were particularly affected by the hearings. DeBari believes that giving survivors a space to vent and have control over the discussion was an important way to address the resurfacing of trauma provoked by the hearings. Attendees talked about how the hearings were affecting their daily lives and about the lack of support they’ve noticed from some of their professors and certain friends. One attendee, Rachel*, wished professors would acknowledge that the hearings were occurring and that they might be affecting a large number of their students. She spoke to the importance of talking to other survivors who were experiencing the same emotions she was. 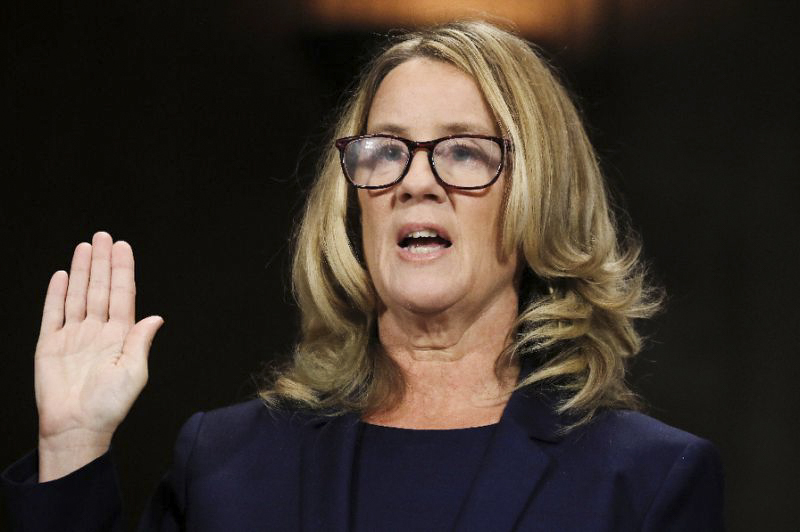 Many attendees also expressed frustration at how some of their left-leaning friends viewed Ford and others’ testimonies as merely beneficial in the political sphere, without acknowledging the effects the testimonies have on survivors or the fact that survivors coming forward now had been holding onto their trauma for decades. *Name has been changed to protect the speaker’s anonymity.